Since 2009, when I read “How to Make Monsters”, Gary McMahon has become one of my favorite writers. His short stories are always powerful, his imagination vivid and the resulting combination difficult to forget. My experience with Gary McMahon’s longer fiction however needs to be brought up to date. I didn’t ignore his novels completely, but I am a little in debt when it comes to their reading. Or reviewing them. 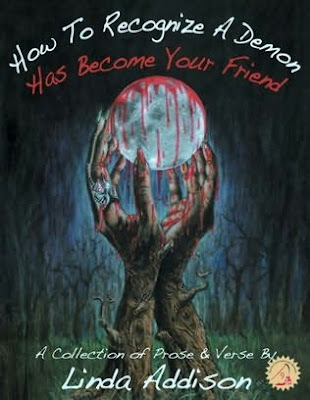 From the five novels Gary McMahon published so far I read only two, “Pretty Little Dead Things” and “Dead Bad Things”, but I did not manage to review them. And although I set only one reading goal for this year I feel that I need to add another, to read all of Gary McMahon’s novels by the end of the year. Especially since he has just released the second novel in “The Concrete Grove” series, “Silent Voices”, and the third, “Beyond Here Lies Nothing”, is due to be published in September. I am particularly curious about “The Concrete Grove”, because Gary McMahon’s novella, “The Harm”, centered also on three childhood friends, was one of the best readings I had in the past years and not only. Gary McMahon’s “Silent Voices” has a very interesting book trailer too, made by the prolific book trailers creator, Mark West, one that adds further appeal to the Gary McMahon’s novel. 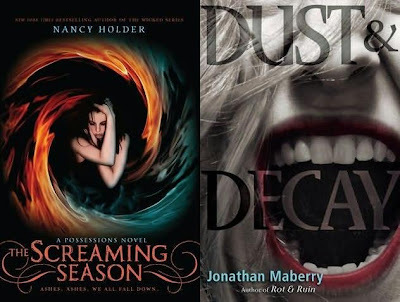 The 2011 Shirley Jackson Awards nominees have been announced. The winners will be announced at Readercon 23, which takes place between 12th and 15th of July at Burlington Marriott in Burlington, Massachusetts. The jurors for the 2011 Shirley Jackson Awards are Maura McHugh, Kaaron Warren, Laird Barron, Matthew Cheney and Gary K. Wolfe. One of my favorite fantasy covers is the one made by Marc Simonetti (one of my favorite fantasy artists for that matter) for the French edition of Patrick Rothfuss’ “The Name of the Wind”, published by Bragelonne. It is one of the best examples of top quality in book covers. Well, now the respective book cover pales a little, because Marc Simonetti managed to surpass his amazing work with not one new wonderful book cover, but two. 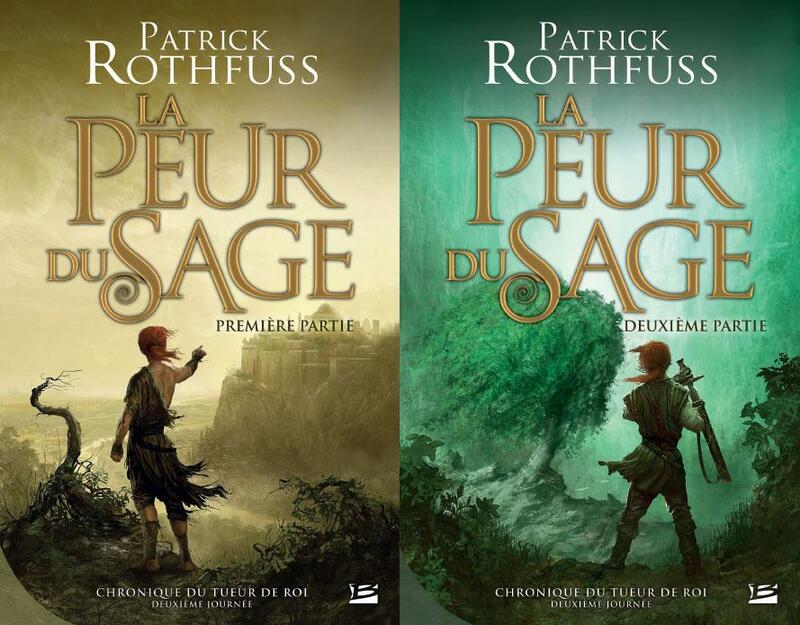 Bragelonne opted to publish the French edition of Patrick Rothfuss’ “The Wise Man’s Fear” in two volumes, the first due to be released in August and the second in October. Bragelonne also chose to follow the line of the first cover and asked Marc Simonetti for two new artworks. The results can be seen now and are hardly in need of any comment. They are simply stunning! This is the way I finished my review of Marian Coman’s “White Nights, Black Days” and I still believe that Marian Coman deserves every penny for his wonderful works. I even believe that in a perfect world Marian Coman would be able to live comfortably solely from his writing career. Now, I did say that I would pay Marian Coman to write more, but for a few days that would not be possible even if I had that financial power. The reason for this is that Marian Coman’s first appearance on the English market, “Fingers and Other Fantastic Stories” (also reviewed here on my blog), is up for grabs on Amazon for free. Actually, you should hurry a bit because I believe that those few days are reduced to just one since the announcement was made last week, but due to the Romanian Easter celebrated at the end of last week my return to the Internet was made only today. 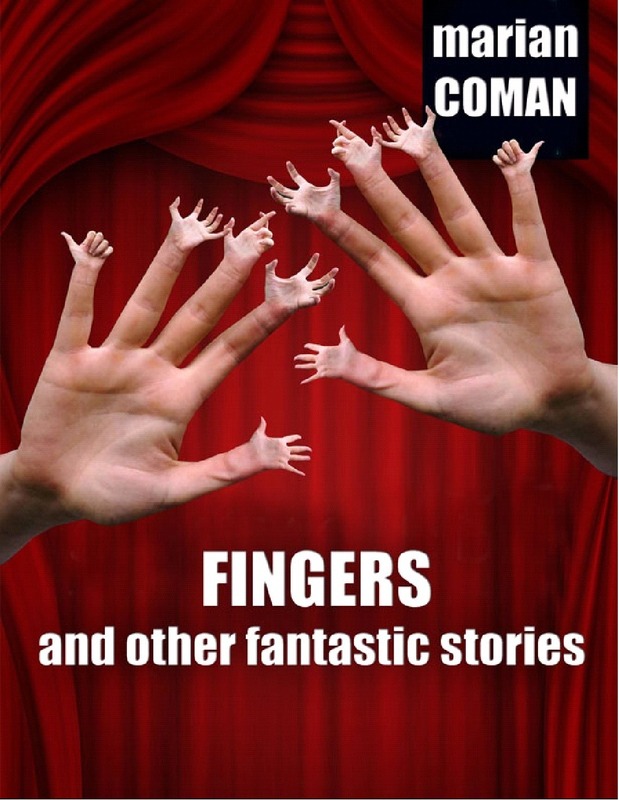 Nonetheless, Marian Coman’s “Fingers and Other Fantastic Stories” is an excellent collection and a great opportunity to experience his wonderful writing. Especially when you can’t get a better offer than this for a highly recommended work of fiction. 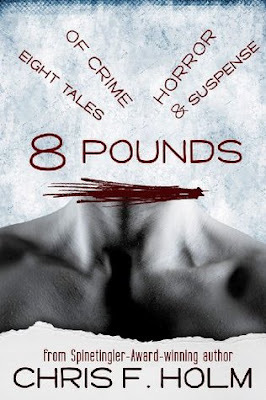 "8 Pounds: Eight Tales of Crime, Horror & Suspense"
I am not sure if I ever would have get a chance to read Chris F. Holm’s collection of stories, “8 pounds: Eight Tales of Crime, Horror & Suspense”, if it was not for his recently released debut novel, “Dead Harvest”. Being a preponderant writer of crime and mystery short stories limited the channels through which I could have discovered the collection to only very few. 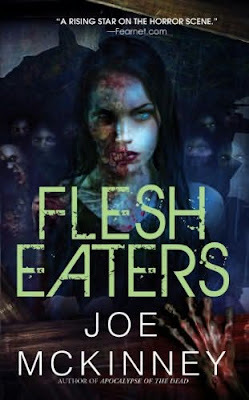 But while reading “Dead Harvest” I stumbled upon an opportunity of downloading for free Chris F. Holm’s short story collection, occasion that came in handy after I finished his debut novel and my curiosity pushed me towards the writer’s short fiction. “Seven Days of Rain” – Sixty years after the childhood events in Eddie Hanscombe’s life the truth hidden for this entire period comes floating up during seven days of heavy raining. In a heavy atmosphere sustained by the constant falling of rain the story mixes the present events with the past ones in an excellent combination. Chris F. Holm develops very well the plot, constructs the main character in a very satisfying manner and builds suspense releasing it with an excellent efficiency. “A Better Life” – A family moved in the countryside for a chance of offering their unborn child a better life try to identify and eliminate the source of the strange noises they hear in their house. Through a very well kept sense of discomfort the tension rises constantly until the outcome of the story is revealed. Together with its terrifying side. “A Simple Kindness” – While on a subway train Tom Mills, attracted by a woman in the opposite sit, lifts her forgotten bag and follows her only to discover himself in a very difficult situation. It is a pulp mystery story, full of energy, action and surprises. It is also centered on a character with whose fate you cannot be sympathetic, but to a certain extent since after all he is in the mess pretty much by himself. “The Toll Collectors” – The professional ruffian Ray McDaniel travels home after his latest job, but discovers that this time the road is not as smooth as he wishes to be. “The Toll Collectors” feels weaker than the rest of the stories, with a few details that seem to be drawn together hastily. 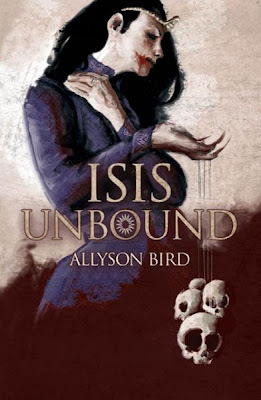 Nonetheless, it is an interesting ghost story, with a pretty good feeling of uneasiness, and in which the reader is uncertain what side to take. “Eight Pounds” – Two friends talk in a bar, the one with a heavy conscious feeling hinted accusation from the other. 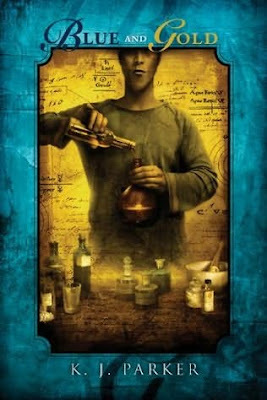 Chris F. Holm makes another wonderful exploration into the human mind and creates one more interesting character. His growing insecurity and panic almost reaches the breaking point, but when his relief from personal torment comes it arrives with a shocking perspective. “The Well” – A young girl finds herself trapped within an abandoned well while chasing butterflies and must seek means of survival. The shortest story of the collection, in the horror spectrum, with an uproariously conclusion. “The Big Score” – Mike Malloy, a lobster fisherman, is confused for his fellow lobsterman, Jimmy Bradfield, and finds himself caught between a couple of treasure hunters. The story is nicely set, Chris F. Holm using fog this time to fashion an atmosphere of confinement and contraction. The end comes through a lovely scheme assembled by the main character, Mike Malloy. “The World Behind” – Tim Hewitt recollects the summer of his childhood when he discovered that the woods near his neighborhood has secrets buried deep within. The last story of Chris F. Holm’s collection was the one working the least for me. It is a story of coming of age, of childhood memories with their delightful moments and more or less unreasonable fears. It is a predictable story, with not a single moment of incertitude along its course. This feeling is amplified by the rest of the stories from the collection, each of them springing on the unsuspecting reader. “8 Pounds: Eight Tales of Crime, Horror & Suspense” didn’t reveal a very different writer than the one discovered through “Dead Harvest”, but showed me an interesting side of Chris F. Holm. He mastered the three genres included in the title of the collection with capability and energy. 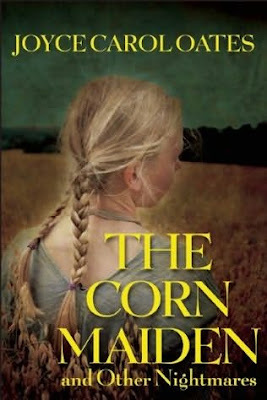 But no matter what the genre in which the story can be included the carefully constructed atmosphere, the interesting and almost always shady characters and the details that Chris F. Holm chooses to keep from the reader until one is taken totally unaware by their exposure make the stories stand for themselves. If like me you read and enjoyed Chris F. Holm’s debut novel “8 Pounds: Eight Tales of Crime, Horror & Suspense” would be a wonderful companion for the respective book. Actually, it has no importance what your experience is with “Dead Harvest”, because Chris F. Holm’s “8 Pounds: Eight Tales of Crime, Horror & Suspense” is better in my opinion, a solid collection of worthy short stories. Noir crime fiction seems to gather a new dimension lately, with the newly added paranormal elements that tend to become a trend. I do not have much of a problem with it, after all, I was and still am a great admirer of noir fiction and the new touch gives it an interesting flavor. It even manages to conquer a little my dislikes for overly-used vampires and zombies themes. And there is one anthology that might contain these themes, but still sounds appealing. Liz Grzyb and Amanda Pillar’s anthology, “Damnation & Dames”, called for submissions of stories which show the paranormal and noir crime worlds colliding; you might find werewolf femme fatales, vampire hardboiled detectives, alcoholic psychic journalists, zombie bankrobbers, ghostly gendarmes, demonic insurance salesmen, down-on-their-luck djinns, double-crossing mummies, or even fae with a love for red herrings and selected 16 such short stories for the final line-up. As I said vampires and zombies don’t do the trick for me anymore, but noir crime does and this is the element that attracts me the most at “Damnation & Dames”. More so, another journey into the Australian speculative fiction sounds very good, especially when one of the guides, Amanda Pillar, offered me some very interesting similar travels before in which I discovered some of the names featured on this line-up too, Felicity Dowker, Rob Hood, Pete Kempshall and the extremely talented Lisa L. Hannett and Angela Slatter. And since Liz Grzyb and Amanda Pillar’s “Damnation & Dames” was released by Ticonderoga Publications the past week-end we do not have to wait anymore for this anthology to be published. 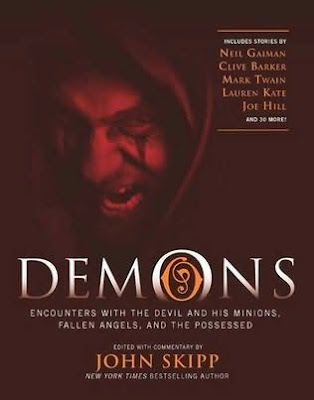 I will have a review of the collection as soon as “Damnation & Dames” will be available on the Book Depository and I’ll be able to order a copy. The residents of Australia, Canada, Great Britain, New Zealand and USA can also enter by April, 30 in a book giveaway on Goodreads for a chance to win a copy of “Damnation & Dames” edited by Liz Grzyb and Amanda Pillar. 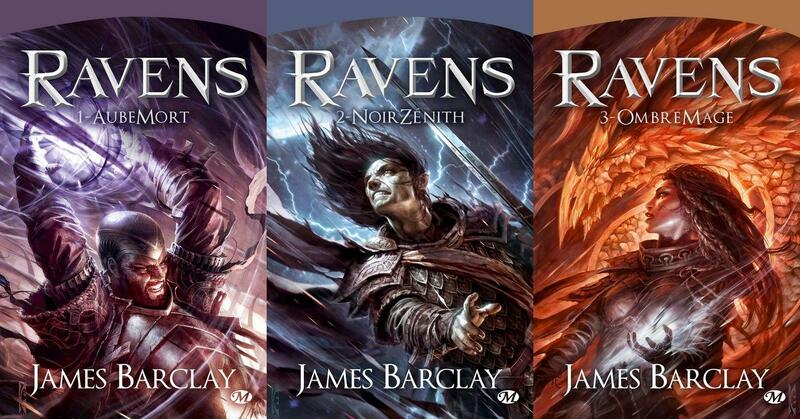 Among my favorite fantasy book covers are the Raymond Swanland’s beauties adorning the Pyr editions of James Barclay’s quartet of novels from the “Legends of the Raven” series. I mentioned more than a few times that I am a great admirer of Raymond Swanland’s unique art touch and I am always thrilled to see his artworks when they come at such high quality. And once again Raymond Swanland has made my heart sing. This time, with a new series of covers for the same James Barclay, but for the three novels in the “Chronicles of the Raven” trilogy and their new French editions due to be released by Milady, an imprint of Bragelonne, this month. 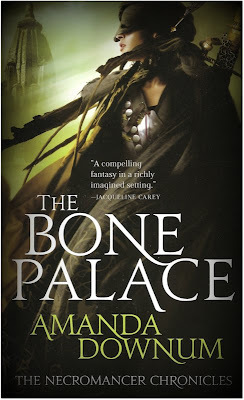 I have to congratulate again Bragelonne for making yet another excellent choice for their book covers, choosing this time to follow the line of covers from the Pyr editions of James Barclay’s “Legend of the Raven” and bringing three new wonderful artworks from the amazing Raymond Swanland. There are plenty of labels that throw me away from books in the blink of an eye, vampires and zombies being the most recent and unappealing trends for me. There are other labels that work in the opposite direction though and I find myself sometimes stranded for a while in a trend that is attractive to me for one reason or another. Naturally, there are exceptions from these rules. One such exception was Alden Bell’s “The Reapers are the Angels”, one of my top favorites of 2010 and recent times, a novel with zombie elements fortunately overpowered by its beauty and central character, Sarah Mary Williams aka Temple. It seems that this year I will make another exception for a novel featuring zombies, “Exit Kingdom”, because I recently discovered that a new novel by Alden Bell, a pseudonym used by Joshua A. Gaylord, will be released. “Exit Kingdom” is centered on Moses Todd, one of the main characters of “The Reapers are the Angels”, but takes place before the story from the same novel. I am certain of this because of a few elements I found in synopsis that are betraying due to their connection with the events taken place in “The Reapers are the Angels”. I will not say more in case you didn’t read Alden Bell’s novel yet. The synopsis promises something interesting, after all I said that I have themes to which I can hardly resist, post-apocalyptic fiction being one of them, but my experience with Alden Bell’s “The Reapers are the Angels” would have been enough to stir my curiosity for “Exit Kingdom”. 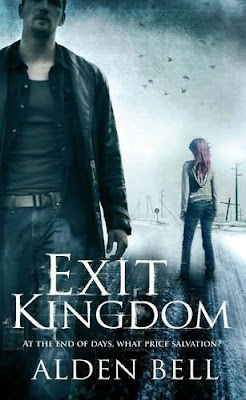 Now, I am not sure about some pieces of information regarding Alden Bell’s “Exit Kingdom”. The novel is scheduled to be released by Tor UK in September, but I found a different title by Alden Bell scheduled to be released by Tor Books US in May, “Somewhere I Have Never Travelled”. This one has no description however and, although I am not entirely sure, I think that we are talking about the same novel, but with a different title. After all, it would not be the first time when the UK and the US publishers go for a different title. I hope to get hold of this information and the actual release dates for an update of this post. Until then, here is the synopsis of Alden Bell’s “Exit Kingdom”. 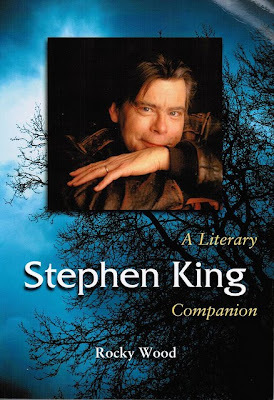 LATER EDIT: Through the courtesy of Joshua A. Gaylord aka Alden Bell we know that “Exit Kingdom” and “Somewhere I Have Never Travelled” are two separated novels, with “Exit Kingdom” due to be released on September and “Somewhere I Have Never Travelled” at a later date. Thank you very much for the update, Joshua/Alden! I consider J.R.R. Tolkien’s “Lord of the Rings” trilogy to be the foundation stone of my love for fantasy literature. Although I believe that the respective stone was actually set long before the moment of “Lord of the Rings” reading with the constant help of myths and legends. I loved them since my childhood and I love them still. One special place among my preferences is held by Nordic legends and the Norse mythology and though my expertise doesn’t run deep in the matter I know that “The Poetic Edda” is considered the most important source of Norse mythology. The first poem of “The Poetic Edda” is Volüspá, the story of the creation of the world and its coming end told by a völva, a seeress, to Odin. “The Poetic Edda” inspired plenty of works of fiction and continues to inspire. One such new project is a Portuguese anthology of short stories, titled “Vollüspa”, edited by Roberto Mendes and with precise goals of revitalizing the Portuguese speculative fiction scene and giving a chance to the science fiction, fantasy and horror local authors to express themselves. But Roberto Mendes, the editor of “Vollüspa”, doesn’t wish to stop here. He wants to make “Vollüspa” a constant presence on the Portuguese speculative fiction market through a series of such anthologies. I received an electronic copy through the courtesy of the editor, Roberto Mendes, and I will try to read it little by little with the help of my scarce knowledge of Latin languages. I am not sure how my reading attempt would end, but I do hope that someday we will be able to read this anthology and the Portuguese authors on the English market as well. More so, I hope that more writers outside the English market would find their way on it in the future. It will certainly enrich the world of speculative fiction. Well, I believe that such a title would do well as a newspaper front page headline, but nothing that threatening is taking place. Instead, I have the honor of taking over Niall’s excellent blog, The Speculative Scotsman, for a post while he is away on vacation. And although I am curious from time to time who is K.J. Parker, the writer’s talent is undeniable. That talent can be seen in “Blue and Gold” too, K.J. 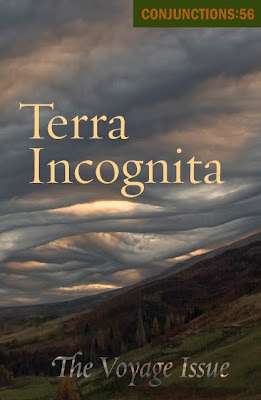 Parker’s novella I review in my guest post on The Speculative Scotsman. Unclean Spirits is the first book in a bold and fast-paced urban fantasy series starring Jayné Heller. When college student Jayné Heller's uncle is murdered, she goes to Denver to settle his estate and mourn the loss of the only member of her family who has always been on her side. She discovers that her uncle has left her quite a legacy: a string of property across the world, several very full bank accounts - and an extremely unconventional business. It turns out Uncle Eric has been secretly fighting to rid the world of supernatural 'riders' - demons, vampires, werewolves and all sorts of other nasty parasites - since before Jayné was born. Now it's up to Jayné to avenge her uncle's death and continue his work - if she can survive her first week on the job. I a literary world split in plenty of genres, but also in more and more sub-genres, two niches that never managed to attract me in any way are urban fantasy and paranormal romance. Also, it never helped these sub-genres cases the same patterned book covers encountered while browsing through the book shelves. I am very certain that “Unclean Spirits” would not have stirred even a mild interest from my part if it was not for its author. M.L.N. Hanover’s name didn’t say anything to me until I found out that it is the pseudonym of Daniel Abraham, one of the writers I came to fully appreciate after I had started to read recently his “The Long Price Quartet”. Only then I dared to try, for the third time in my reading experience, another urban fantasy title, M.L.N. Hanover’s “Unclean Spirits”. With all the fears and reluctance I had because of my previous experiences with the sub-genre the introduction of “Unclean Spirits” hooked me in the story. And page by page I conquered my hesitation in this case. From the introductory section “Unclean Spirits” comes with an interesting concept, the riders, parasite spirits that can infect a human through magical powers. The concept rounds well around the parasitic behavior, from taking over its host to certain life cycles, this idea has a strong and logical base. Unfortunately, it is only a base, because M.L.N. Hanover doesn’t go in the depth of it and doesn’t build much on the aspects resulting from this concept, such as the Invisible College or the Pleroma. The character who finds herself facing the Invisible College and its leader, Randolph Coin, is Jayné Heller, a disoriented dropout college girl who inherits her uncle’s assets after his death. Only this inheritance comes with a little extra and sends Jayné Heller’s world in a new and totally different perspective. Jayné is a charismatic character, with a strong voice and an attractive attitude. And if these are not enough to make the reader like Jayné, her constant uncertainty in taking one road or another from this point of her life forward makes her a very human and interesting character. The supporting cast is not on the same level as the main character, but they do bring plenty of contribution to the act. Aubrey, Chogyi Jake, Ex and especially Midian make the story more enthralling with their problems and temperament, with wit and humor. There is a downside on the part of Kim, who seems to be thrown in the story a bit forcefully and doesn’t exactly fit the general picture, and Randolph Coin, who is just the negative character, but without breaking the surface of the simple villain position he holds. In my opinion, an in depth approach for the Randolph Coin character would have helped “Unclean Spirits” more. The main plot is straightforward. 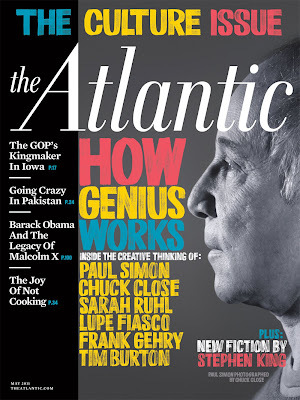 There are no additional facets to the intrigue, the reader just moves from the point A, settling for the plan of action, to the point B, taking the respective action, taking a straight and direct path. It is true that “Unclean Spirits” holds a love triangle and Jayné taking in her new station, but these are in strict relation with the plot. M.L.N. Hanover’s unsophisticated language approach helps the reader to follow the path pretty quick, but with plenty of very well executed action scenes to not turn it in an unremarkable journey. The plot’s conclusion is predictable, but I could not shake the feeling that there is more to the story than what “Unclean Spirits” reveals. Especially since the riders concept of the novel feels like only the initiatory part of a bigger tale. And since “Unclean Spirits” is just the first novel in M.L.N. Hanover’s quartet, “Black Sun’s Daughter”, I am certain that the next volumes will definitely reveal more and become stronger. For the readers who find themselves in the same situation as me in the case of “Unclean Spirits” I have to say that M.L.N. Hanover is no Daniel Abraham in terms of style. But that doesn’t make “Unclean Spirits” a bad reading; on the contrary, it makes it an original and fun approach of a different genre with an entertaining result. It also proves the versatility of Daniel Abraham/M.L.N. Hanover. 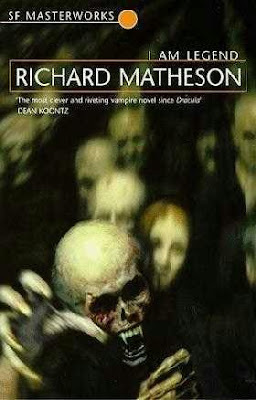 And although “Unclean Spirits” didn’t win me over and turned me into a reader of its sub-genre, it did make me interested in the rest of M.L.N. 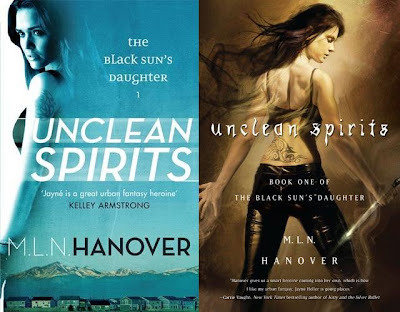 Hanover’s novels in the “Black Sun’s Daughter” series.